Commencement June 2018. Congrats to our graduates! (Photo by Jessica W. Toan). 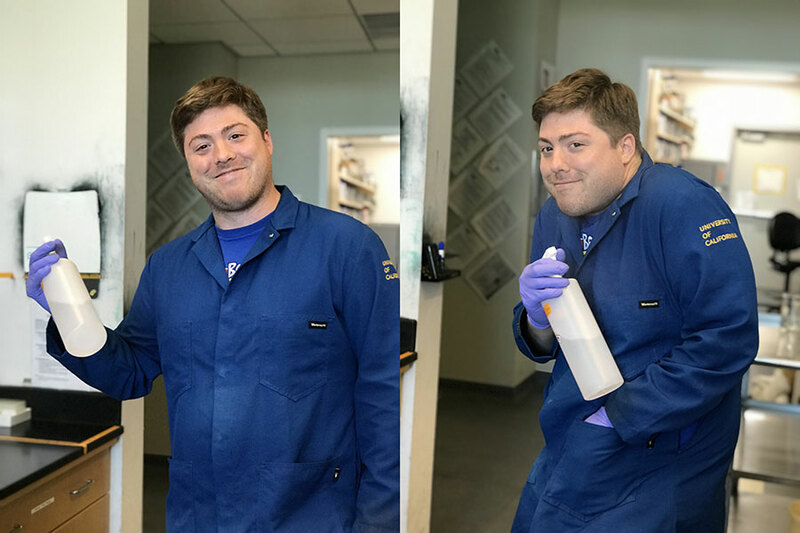 Student Greg Walker is the MGSA treasurer for the 2017-18 academic year (Photo by Megan Liou). MGG students have many great opportunities to present their research. 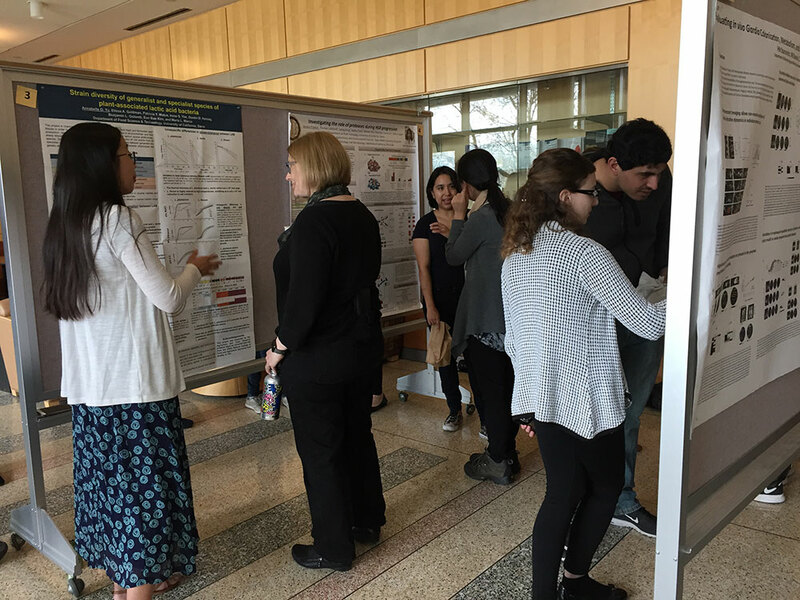 Here Annabelle Yu, Jessica Franco, and Beatriz Pereira (from left to right) are presenting research posters at the 2018 MGG Recruitment event (Photo by Jessica W. Toan). 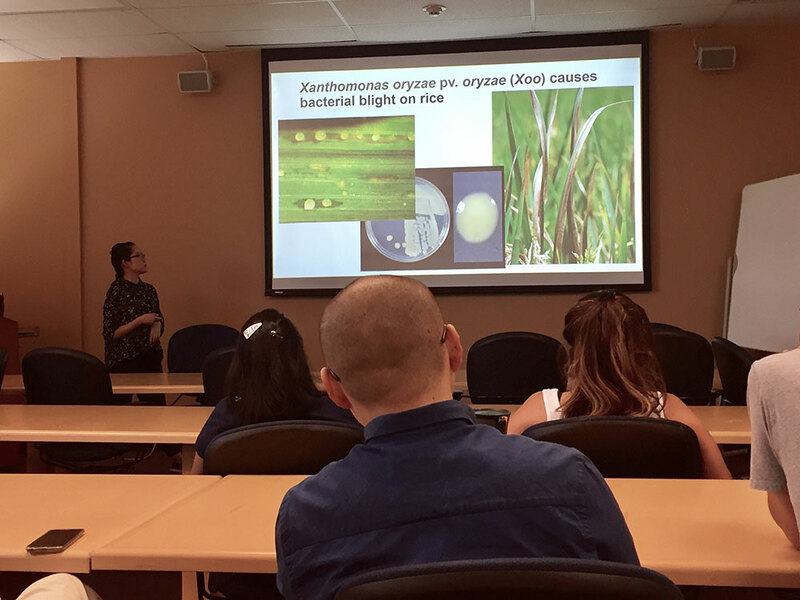 Dee Dee Luu from the Ronald Lab gave her exit seminar on "Insights into the biosynthesis and function of an immunogenic sulfated microbial peptide" (June 2018; Photo by Jessica W. Toan).